The RHINO™ Wet Waste Interceptor reduces the amount of wet waste solids and grease typically contained in waste water generated by restaurants and commercial kitchens in food preparations and pre-rinse sinks. 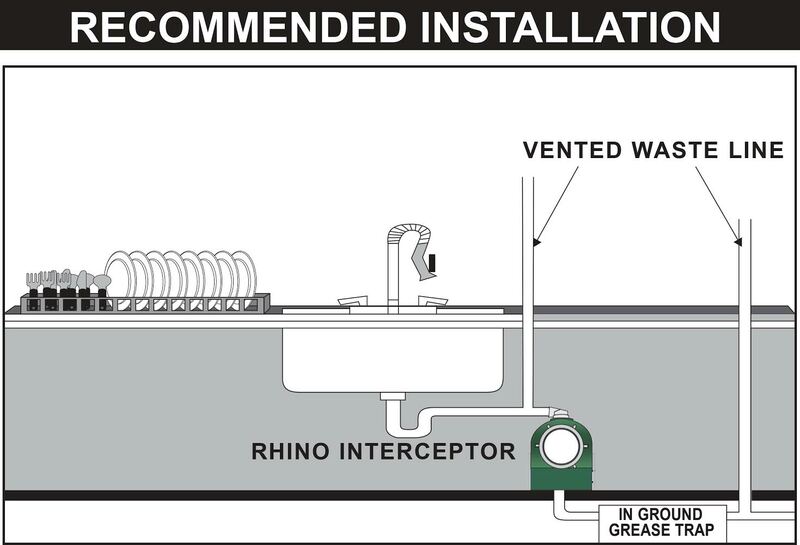 Liquid containing wet waste from sinks is directed to the RHINO™ unit where it flows through a specially designed filter. The elasticity of the filter material creates passages for liquid to escape while retaining the wet solids. The filtration bag is changed in seconds without fuss or mess facilitated by an easy clip on system. 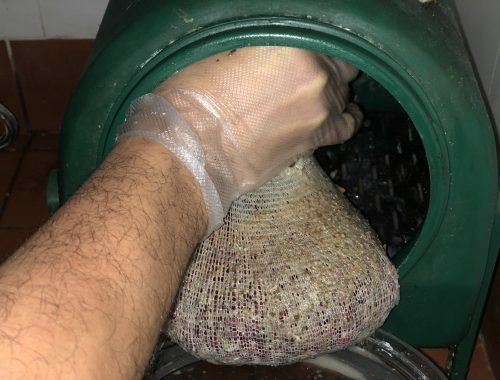 The bag can be put out with regular waste. Reduces the amount of wet waste solids and grease flowing into draining systems. Reduces clogging and maintenance of drainage piping. Reduces costs to municipalities of treating sewage at treatment plants. Reduces the number of grease trap cleanings required. Reduces the odor created by a grease trap. Greatly reduces the need for costly biotechnology (bacteria treatments). Reduces airborn bacteria in kitchen. Meets waste water discharge compliance standards. 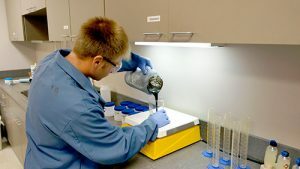 Fisher Laboratories were commissioned to study the RHINO™ Wet Waste Interceptor in an on-site installation. The results were astounding, not only for the customer using the RHINO™, but also for the benefit of the environment. 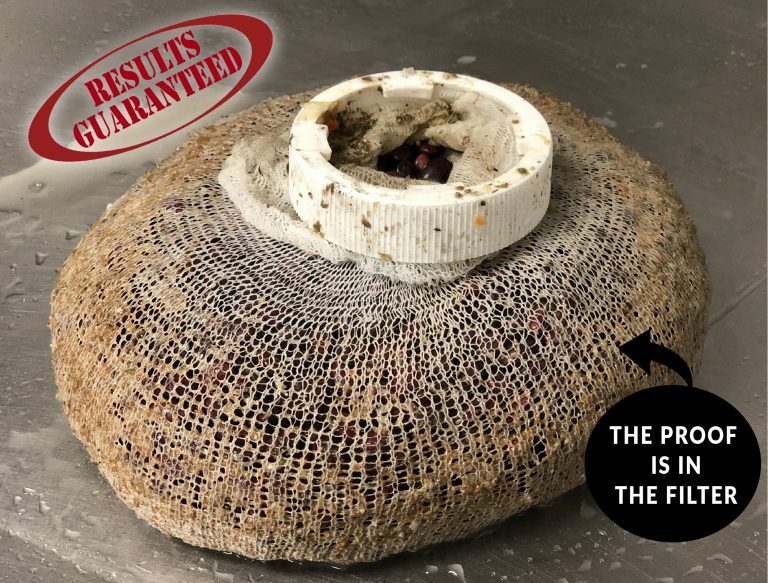 Rhinocan Filtration Inc. has developed an at-soucre solution which will decrease the cleaning frequency and blockages of pipes, drains and grease traps. The units are installed before the drains or grease traps. The MOEE Sewer-Use by-laws regulate the Biological Oxygen Demand, Total Suspended Solids, Oil and Grease loading to the sewer system. Yearly loadings to the sewer system are expensive in the treatment of waste. Also this pre-filtration system would reduce the amount of waste that would not be efficiently removed by the preexisting grease trap. Fisher Environmental tested the efficiency of the system in decreasing the above three parameters. Four restaurants in the Toronto area were sampled in the study. In most cases, the removal of total suspended solids, oil and grease were greater than 75%. The Biological Oxygen Demand (BOD) removal ranges from 40 to 90% depending on the restaurant’s qualities. The optimum removal occurred after the filter bag was preconditioned with solid particulate matter. 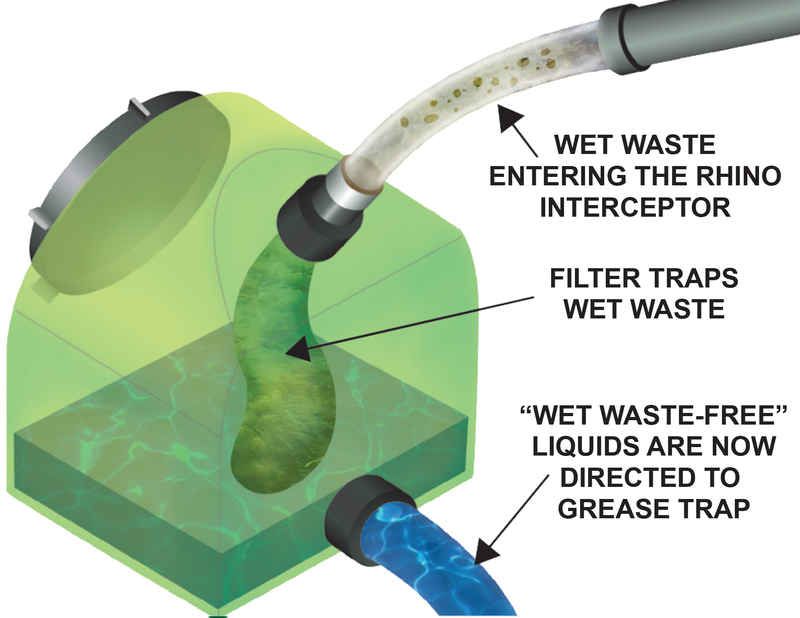 A specially designed filtration membrane with unique characteristics to capture wet waste solids and grease. A user friendly retaining ring allows replacement in seconds. Approximate filter usage and solids (TSS) removal in tons from the Orange County Waste Water System with the Rhino Wet Waste Interceptors in place. The Rosen Plaza has had Rhinos for 760 days the other 5 properties for 670 days. 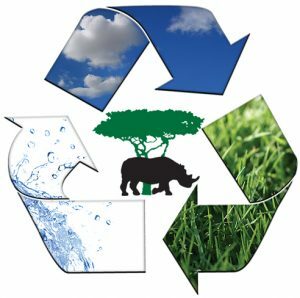 Quality Inn: 2 Rhinos 670 days 15 boxes of 30 filters per box 450 filters with an average of 10lbs per filter 4,500 lbs of solids removed 2.25 TONS REMOVED 1.71 lbs per day.